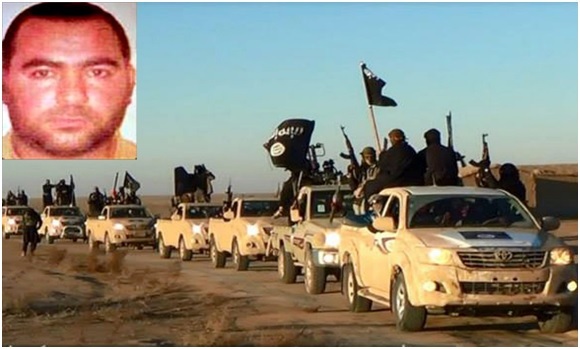 Abu Bakr al-Baghdadi (leader of ISIS) is considered to be the world’s most effective terrorist and its most dangerous. There is a 10 million bounty on his head. He’s launched a bold Iraq campaign that overwhelmed the U.S.-trained security forces and won ISIS, Mosul, a major Iraqi city. He has gained a level of celebrity in the Sunni world that is frightening nations throughout the Middle East. Al-Baghadadi is pushing for a caliphate empire stretching from Iraq into Syria, then into Lebanon, Jordan, Israel and Saudi Arabia. He is a threat to all Middle East leaders. After seizing Mosul, Iraq’s second-largest city, ISIS made a public statement that al-Baghdadi is the pre-eminent leader in a new period of Islamic history: “Now is the era of the Islamic state and the reign of Imam Abu Bakr al-Quraishi,” — referring to al-Baghdadi by one of his aliases. Word among jihadists is that al-Baghdadi is a modern day Saladin, the early Muslim ruler who fought the Crusaders. One reason he has been successful in the Sunni dominated areas of Iraq (thus far) is that al-Baghdadi is a native Iraqi, he has reassured locals he will not persecute them. Many view him as liberating their people from the Shiite rule of the al-Maliki government that governs Iraq. Also important to understand is Al-Baghdadi is gaining popularity in the Arab world because he promises to end the leadership rule of infidel rulers in Egypt, Syria, Iraq, Jordan, and Saudi Arabia. Watchers of ISIS say al-Baghdadi risks overplaying his hand if he moves too quickly. It is yet to be seen if his men can hold the territory they have recently taken. One fact is for certain—the war in Iraq and Syria will only become more intense. ISIS is saying they will attack and overwhelm Baghdad and Karbala. Baghdad will not be an easy prize for al-Baghdadi. Baghdad is Iraq’s largest city and is a Shiite-majority city. Shiite Islam’s most prominent cleric, the Grand Ayatollah Ali al-Sistani, has called on Shiites to defend Baghdad—thousands have responded. A fight over Baghdad would draw Shiite fighters from Iran and Syria as well. Nations in the Middle East such as Saudi Arabia, Iran and Jordan are positioning themselves to deal with ISIS—it looks like America is getting involved as well. Is this wise on America’s part?—It is well to remember Proverbs 26:17– He that passes by, and meddles with a quarrel not belonging to him, is like one that takes a dog by the ears. A new radical Islamic state? Unfolding right in front of our eyes is the establishment of a violent radical Islamic state carved out of northern sections of BOTH Syria and Iraq (see map in red). This is an extreme Sunni group—Iraq is predominately Shiite. Surrounding nations– especially those that are or have been aligned with The West– Saudi Arabia, Jordan, Israel and Turkey—are feeling increasingly threatened, why, because ISIL, or sometimes called ISIS, is very radical and extreme. ISIL has thrived amid the alienation of Iraq’s Sunni communities from the Shia-dominated Maliki government. For months, even before the takeover of Mosul and other towns and cities, Baghdad had lost control of Anbar province and faced widespread Sunni anger with Maliki’s rule. The group calling themselves the Iraq/Syria Islamic state (ISIS or ISIL) is an extreme Sunni group of insurgents—even more aggressive than Al Qaeda. Iranian President Hassan Rouhani said June 12th that his country will not tolerate the Islamic State in Iraq and the Levant and “will fight and combat violence, extremism and terrorism in the region and the world.” Iran is strongly supportive of Iraq’s Shiite majority, and plays a key role in Iraq’s government (though behind the scenes). The continued violence in Iraq will dampen the appetite of Western oil companies to invest in new production infrastructure in Iraq. 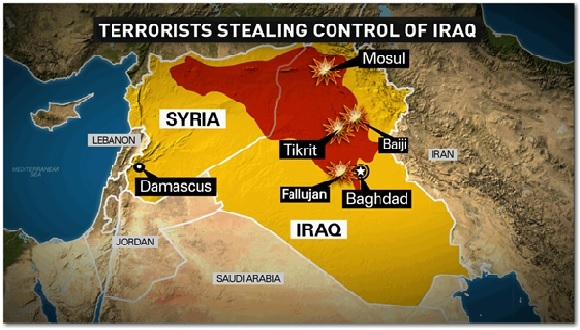 The oil concern is that they (ISIL) will disrupt Iraq’s oil production. The vast majority of Iraq’s 3.5 million barrels a day oil production lies in the South, amid the extreme Shiite majority. The risk of threatened new production growth in Iraq is a vital threat to global oil prices. Remember Iraq is one of the world’s biggest oil producers. That nation is deteriorating very quickly. The way of Islam is one of hostility, anger and war…the prophecy of Genesis 16 continues to play out: “You shall name him Ishmael, for the Lord has heard your misery, He will be a wild donkey of a man; his hand will be against everyone and everyone’s hand against him, and he will live in hostility toward all his brothers”—verses 11-12. 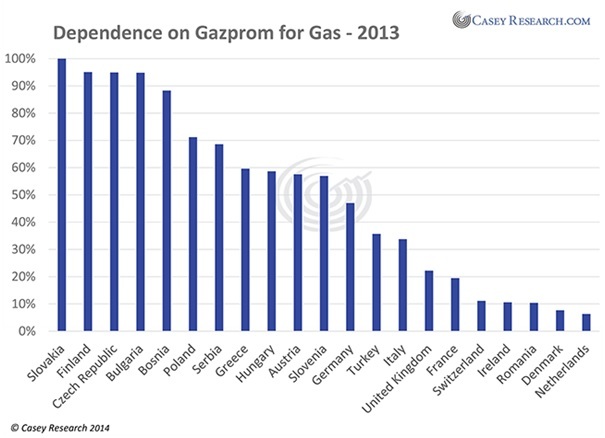 Gazprom (Russian gas and oil company) has always had a stranglehold on Europe–Not only does Gazprom control the natural gas in Europe, it also controls much of the infrastructure. Russia has the largest network of gas pipelines in the world. On the rise in Europe are right wing political parties. The recent European Parliamentarian elections were a success for right wing parties in Austria, Denmark, Finland, the Netherlands, Switzerland, Greece, Hungary and Serbia. Far-right and radical left groups will have roughly a quarter of the seats in the European Parliament, enough to gain a much louder voice regarding the direction of EU decisions. As well, we are seeing the emergence of microstates such as Scotland and Catalonia—intense nationalist movements. Right wing parties are becoming more popular. Marine Le Pen’s National Front in France is soaring in popularity. These parties are anti-immigrant—and in certain cases anti-Jewish. What may be surprising as well is many of these parties are actually pro-Russian, not that they like Russia but they have in common with Russian President Vladimir Putin, deep conviction in ethnic states versus the lefts idea of multicultural nationhood. In the 1930s the rise of ethnic nationalism in Europe led to horrific war—as a result millions died, 2 out of every 3 European Jews were killed, most in death camps in Poland. So ethnic and nationalist movements are worth paying attention to. Jesus warned us in Matthew 24:6 about “wars and rumors of wars” as a sign of His “coming and of the end of the age” (verse 3). What you may not know is that the Greek word for “nation” (in verse 7) is ethnos, showing that these escalating conflicts would be largely ethnic-based wars.